Prosecution declines to appeal parole board decision to free former Prime Minister from jail. Olmert to be released on Sunday. The state prosecutor will not appeal a decision by the parole board to grant former Prime Minister Ehud Olmert an early release, paving the way for his discharge from Maasiyahu prison this coming Sunday. 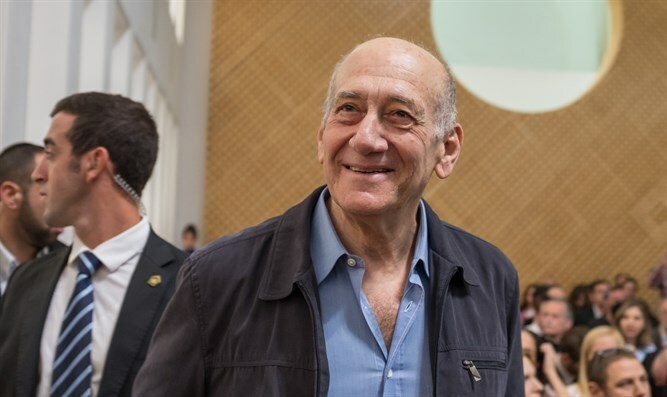 Earlier on Thursday, the parole board accepted Olmert’s request for early release, days after he was hospitalized after complaining of chest pains. By the time Olmert returns home on Sunday, he will have served two thirds of his 17-month jail term.